Description: "Is there anything more iconic of the lush tropics than the coconut? The delicious heart of this island treasure has a nutty, toffee flavor and aroma that sends you straight to the beaches of Paradise. Kick back with a Koko Brown, brewed with real toasted coconut, and savor the mahogany color and smooth, roasty malt taste." 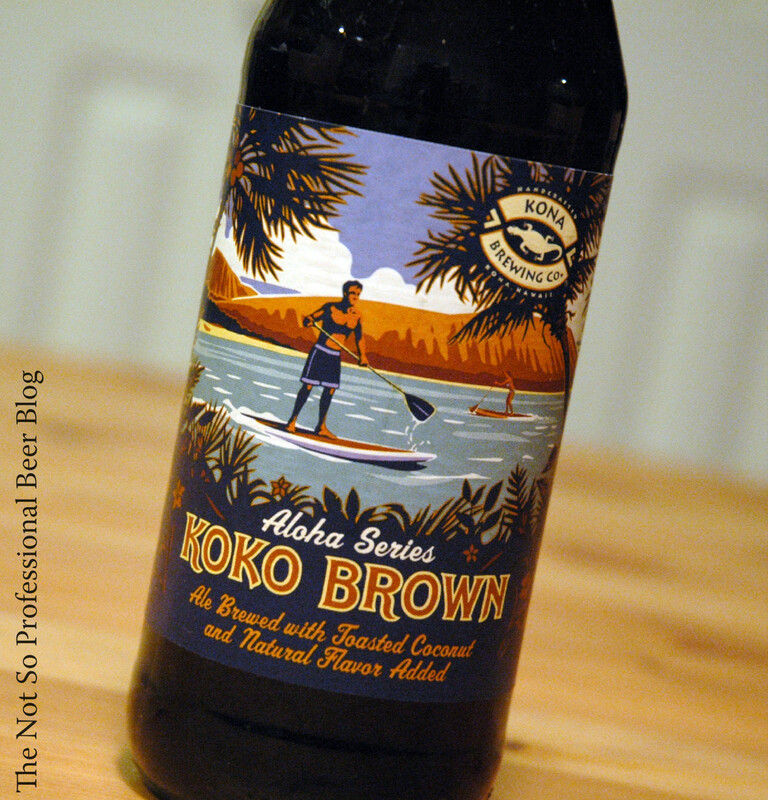 — Kona Brewing Co.
Random thoughts: I'm drinking Kona's Koko Brown as part of my series on Brown Ales. This is Kona's winter / spring seasonal and I've heard good things about it. The tasting: Brownish red in color, clear, with a light tan head that dissipates fairly quickly. The aroma is light, but I picked up some vanilla and caramel. What it lacks in aroma, it makes up for in flavor! There's a lot going on here. It starts with toasted malt and vanilla. In the middle, the coconut and nutty notes come through along with light caramel sweetness. Surprisingly, it has some not-so-subtle bourbon notes as well. If I was tasting this blind, I would have sworn this was aged in bourbon barrels—but it was not! I wonder how the brewers pulled that off? The bourbon notes also make it taste higher in alcohol than the listed 5.5% ABV. Hop bitterness is light throughout. 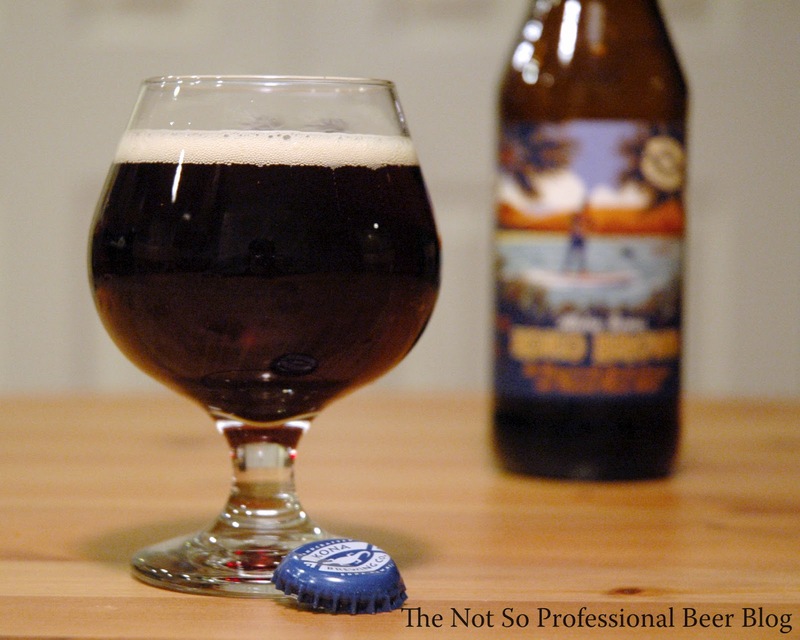 It's light bodied, softly carbonated, and finishes with toasted coconut and bourbon. Have you tasted Koko Brown or any other beers from Kona Brewing? I've been surprised by the popularity of this one. I can't get past the coconut flavor. I had this for the first time a couple years ago on tap, with some fish tacos! The perfect lunch! The coconut flavor is too artificial tasting for my tastes. If it were more subtle I may be able to stomach a whole one. Bummer it's going down the drain. Aside from that, i really love this beer. This is one of my favorite beers to date. It's so smooth, and the coconut flavor is distinct and obvious. Delicious.